South Australia is now holding the world’s largest lithium-ion battery which has been in transit for a few days, delivered within just a few days than the promise made by Elon Musk that says 100 days or it’s free. The government of South Australia said that now the clean wind energy can be tapped to the grid for 24/7 which improves the reliability of the system that says the wind is blowing or not. The government of South Australia says that this new technology will improve the reliability of the system, even though the wind is blowing or not. This new 100 MW battery farm has just enough storage capacity to electrify more than 30,000 homes. This new giant battery is now launched which comes after a regulatory testing period that examines the ability of the battery to both charges to and from National Energy Market of Australia. This ability also offers this new giant battery to act as a generator. With this new technology, the NEM has initiated to incorporate 40,000 km of transmission lines and cables all over South Australia. The Hornsdale Power Reserve says that this new battery takes fewer than 10,000 square meters of land due to the Tesla power packs being connected to Neogen’s Hornsdale windfarm. It is said that in a statement by Tesla, with this lithium-ion battery project completion within just a short period of time proves that the sustainable and effective energy solution is possible. Tesla also mentioned in the statement that it is very proud to be a part of this new South Australia’s renewable energy solution in the future and further hopes that this project will provide a model for future deployments all around the world. 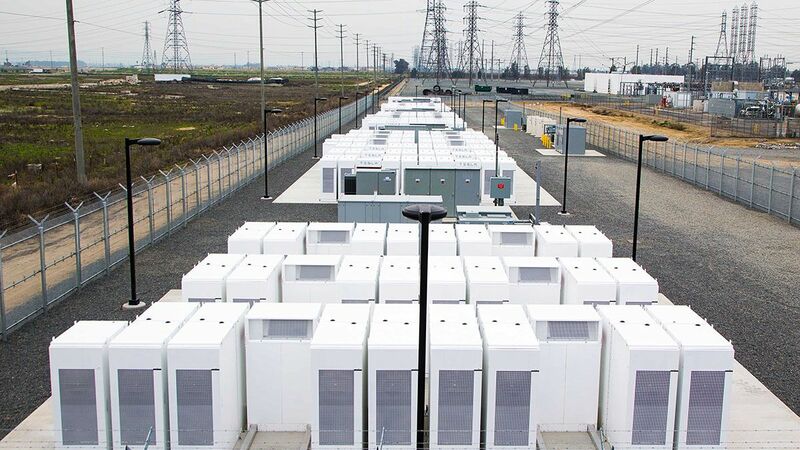 Tesla further mentioned that this new giant battery implementation in South Australia will help the state in solving the power shortage problems and assist them in peak loads during summer time. The state of South Australia has been in energy problems for a very long time now and has been suffering a statewide blackout since September. This new event has set off a severe politicized debate regarding energy security with the Federal Government that blames the failure of renewable energy to cover their usage. Many others have pointed to transmission lines and towers that have been topped over due to extreme weather conditions. Previously, a year back, the company Tesla has built a similar battery farm which has been very successful. The company has also completed a 20 MW system in Ontario in the Californian state that can store up to 80 MWh of electricity. The project completion has just taken 90 days for the company and the company also hopes that it will commoditize electric cars, home energy storage, and semi-trucks and that this will install the necessary 396 Powerpacks. The company said that it is very proud to install the giant battery within just a few days and very much ahead of the imposed deadline of the company.